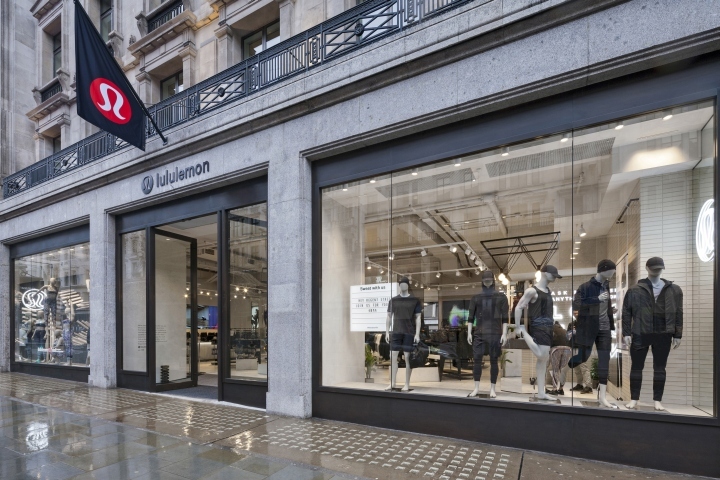 This January lululemon opens the doors of its highly anticipated new store on London’s renowned Regent Street. 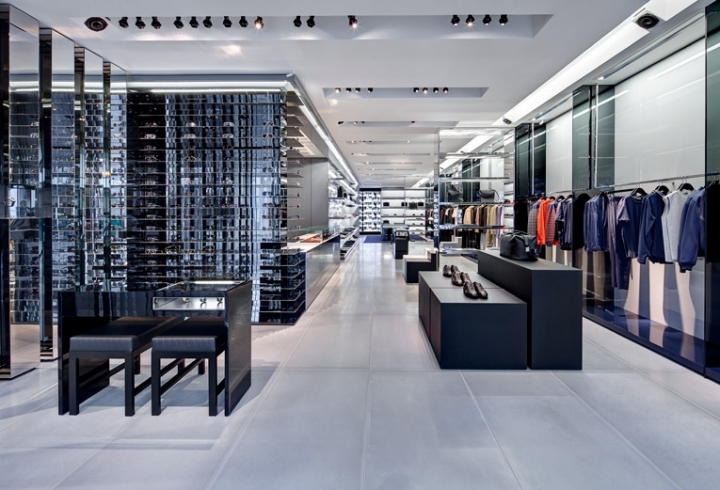 At 6,344 square feet and sprawling over two floors, the store is the Canadian technical athletic apparel company’s European Flagship and is set to transform the traditional retail experience in the UK and throughout Europe, starting January 12, 2017. 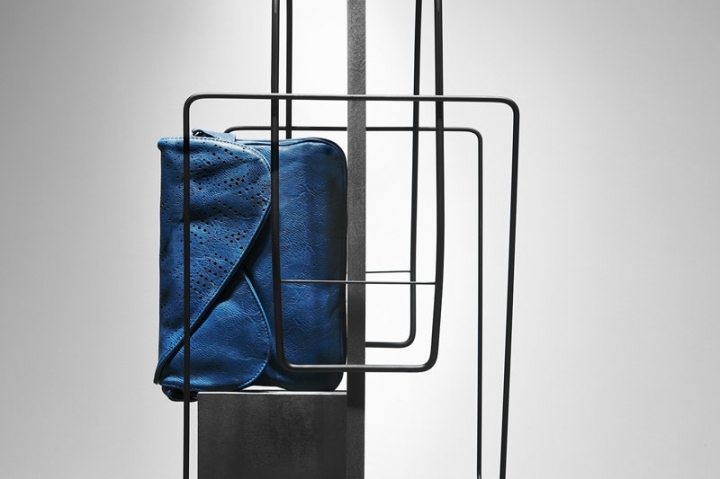 Several design elements have been tailor-made for the space and are unique to the UK, from the concierge desk welcoming guests into the store and a relaxing café area, to the technology behind the mesmerising digital movement installation, interactive dressing room and expressive mannequin feature. Behind the cash desks on each floor are large digital screens showcasing product stories and the store ambassador films. Detecting movement from the yoga mat positioned in front, the life size screen transforms your own poses into dynamic and evanescent sculptures of colour. Once still, the particles are drawn towards you, filling your silhouette, flowing around your body and creating a unique piece of artwork from the energy within.Upstairs is the dedicated community space, an area curated to create a relaxed atmosphere and sense of belonging. Here you’ll find a flexi-space for your yoga practice, including complimentary classes weekly. 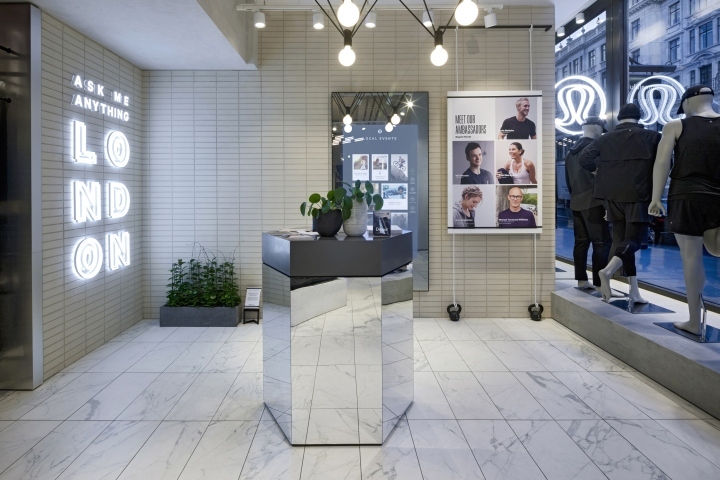 The community space will also house the first café from Neat Nutrition, the premium all-natural protein brand founded by lululemon ambassadors and former international swimmers, Lee Forster and Charlie Turner. 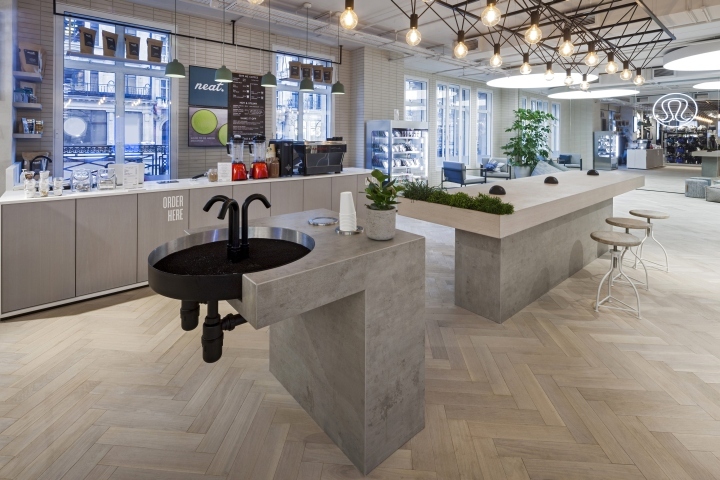 The café will offer nutritious goodies, craft coffee, juices and a range of protein shakes for customers to enjoy in the breakout area. A prominent part of the community space is the Vision & Goals wall. 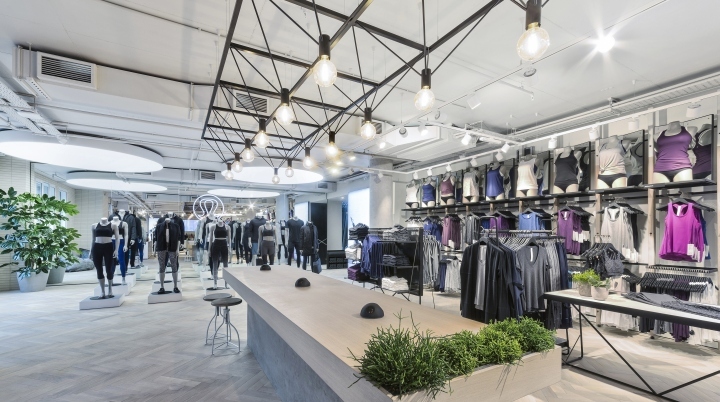 Encouraging people to always strive for greatness, lululemon offers this as a space for guests and store team to contemplate their ambitions and aspirations. 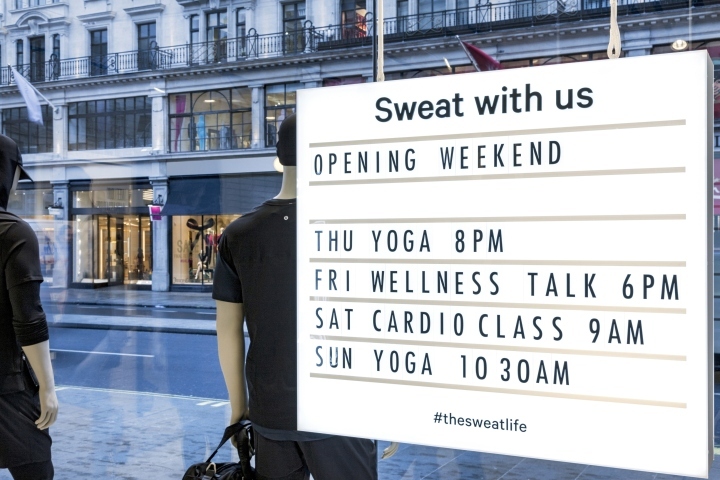 A small print out to takeaway helps remind, support and motivate guests to achieve these goals.Ensuring the technical elements and craftsmanship of lululemon’s product are at the forefront, an interactive fitting room within the upstairs fitting rooms, enables guest to see the reflective features on their chosen kit. 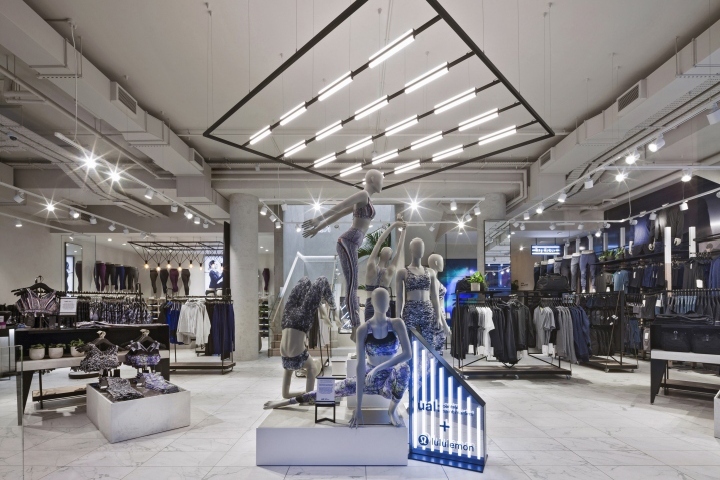 Once inside the room, laser beams highlight the reflective elements in the surrounding mirrors.A space to stretch, sweat, connect and enjoy the latest collections, lululemon’s Regent Street store has been created to offer you retail space with a difference, helping you escape from the buzz of the city and find stillness, happiness, and above all fun.